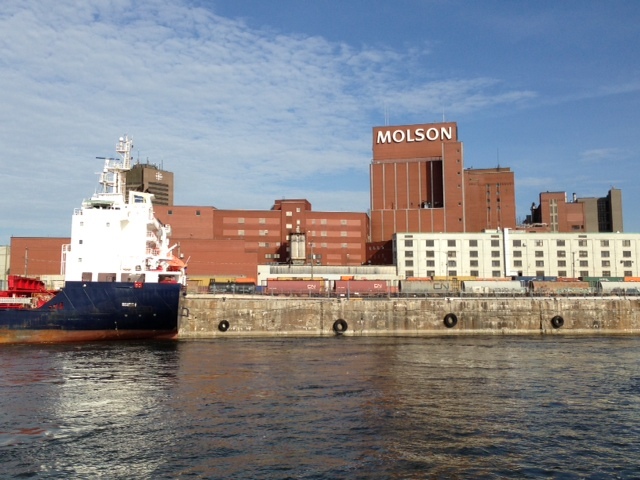 Hull, Quebec, actually – directly across the river from Ottawa. 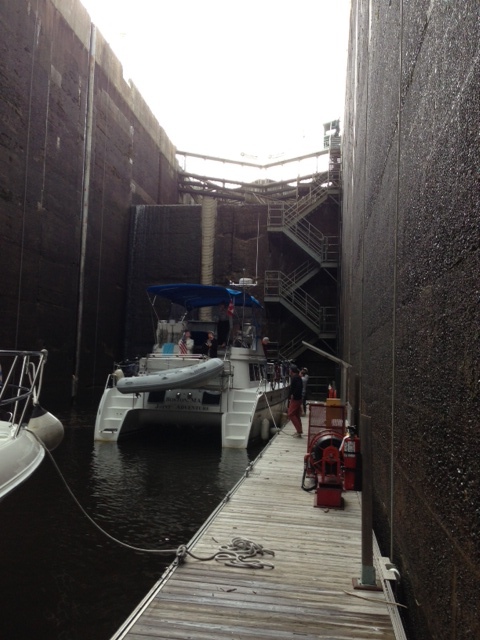 We’ll cross the river today and go up the 8 flight locks and tie up to the canal wall in the center of downtown Ottawa. 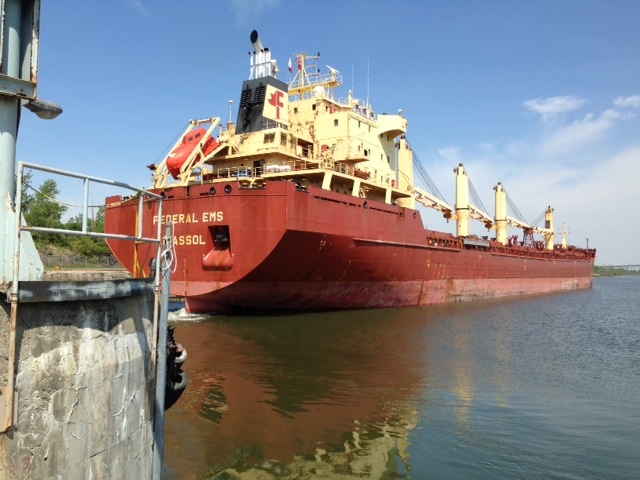 We left Montreal early Monday morning to resume our transit up the St. Lawrence River and through 23 miles of canal and locks that were constructed to convert the St. Lawrence River into the St. Lawrence Seaway. Begun in 1954 and completed in 1959, the St. Lawrence Seaway is still regarded today as one of the most challenging and awe-inspiring engineering projects in history. 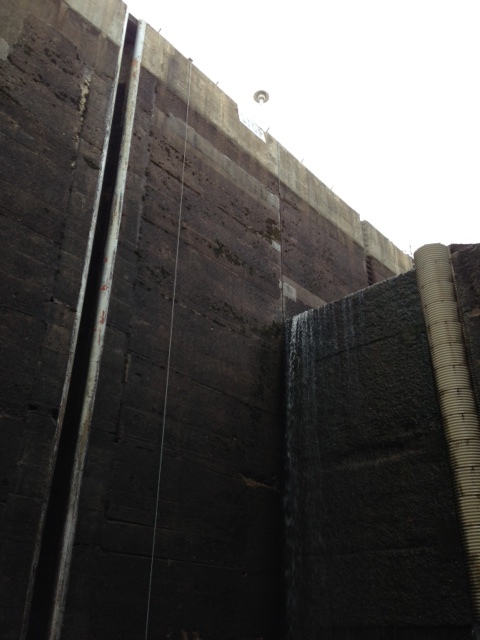 Related hydro-electric generating projects added to the complexity. Not only did it require innovative engineering and massive construction, it required unprecedented cooperation between the US and Canadian governments, which had to agree on who constructed and paid for what, who got jobs, how each cost would be split, and how Seaway and electricity revenue would be split (would Congress be able to agree on that internally today, not to mention coming to an agreement with another government?) In any case, the total cost in 1950’s dollars was $470 million, of which Canada paid around 70%. 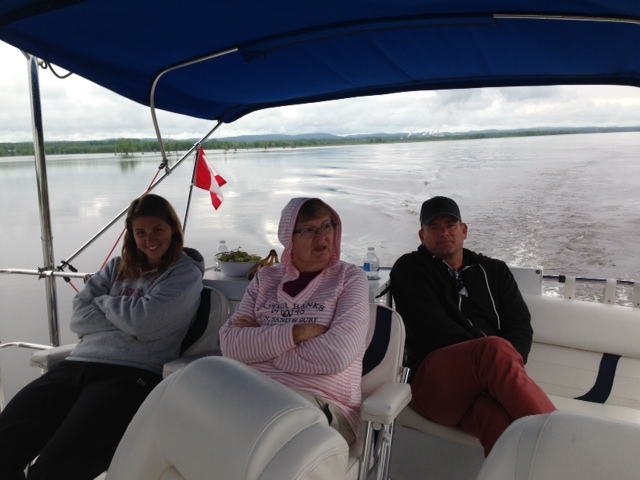 As part of the Seaway and related power projects, nearly 100 square miles of land were flooded, including entire villages – 6500 people were resettled and 550 homes were moved to new locations! 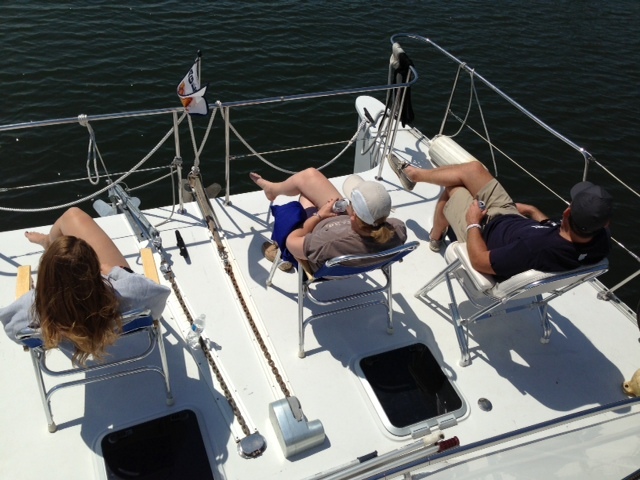 When I was about 10 years old, my Dad and Mom took us on a family vacation by car to the Adirondack Mountains, including a couple of days stop at the 2 U.S. locks on the St. Lawrence Seaway at Massena, NY (I wonder who planned that part of the vacation….). 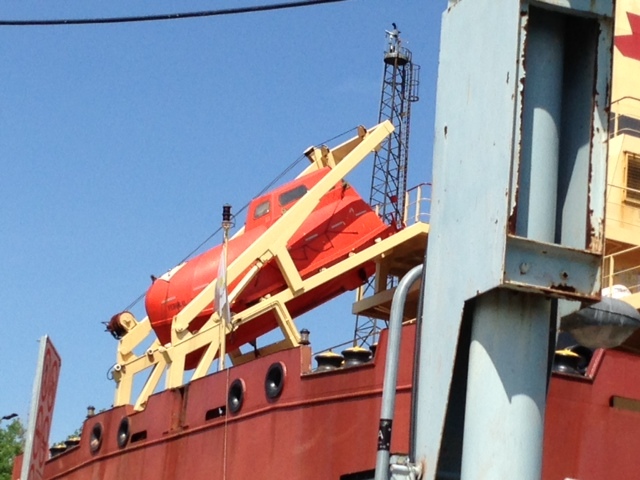 I remember watching enormous ships passing through the Eisenhower and Snell locks with total fascination – I was mesmerized. Never did I think that 53 years later (did I really admit it was 53 years?) 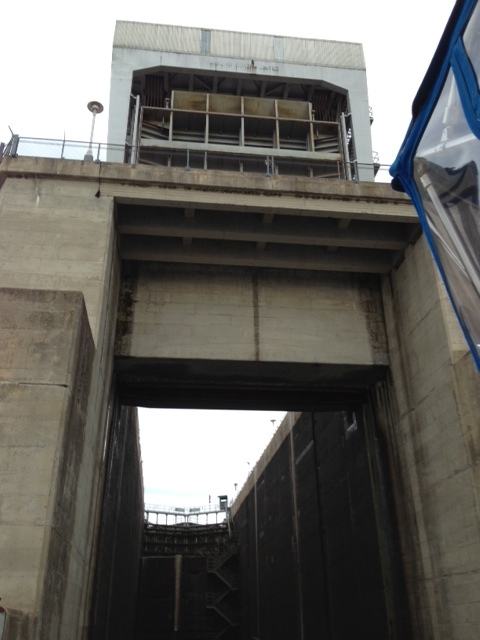 I would piloting a boat through similar locks further down the St. Lawrence Seaway. And I’m just as mesmerized today as I was then. Tom with his favorite waitress in St. Anne de Bellevue. 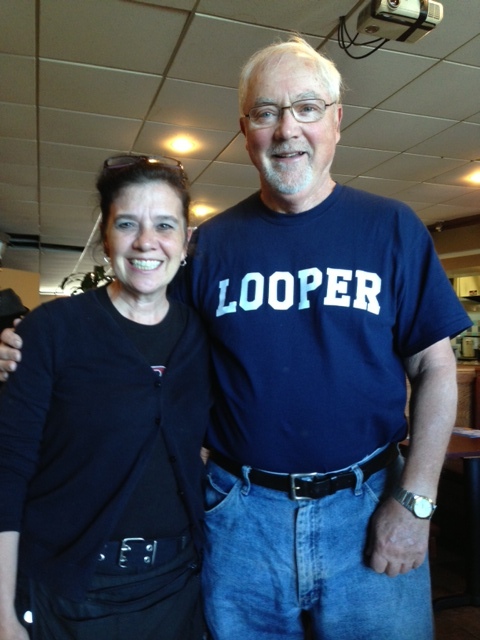 Tom had LOOPER shirts made for us – sometimes I think “LOOPY” would have been more appropriate…. 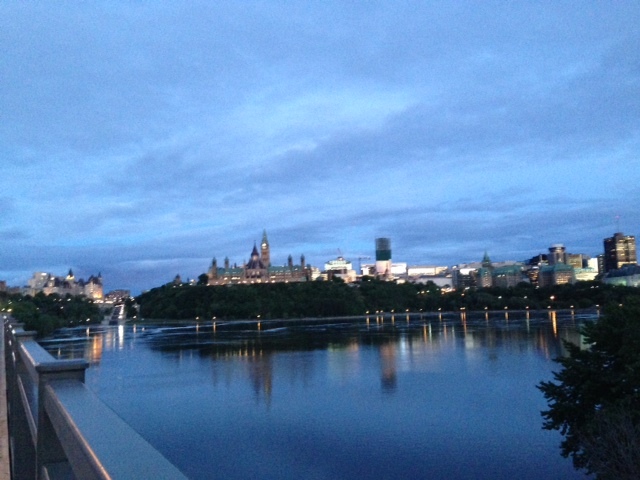 Following is a picture of the Ottawa skyline taken from the Hull, Quebec side of the bridge that spans the Ottawa River and connects the two cities. 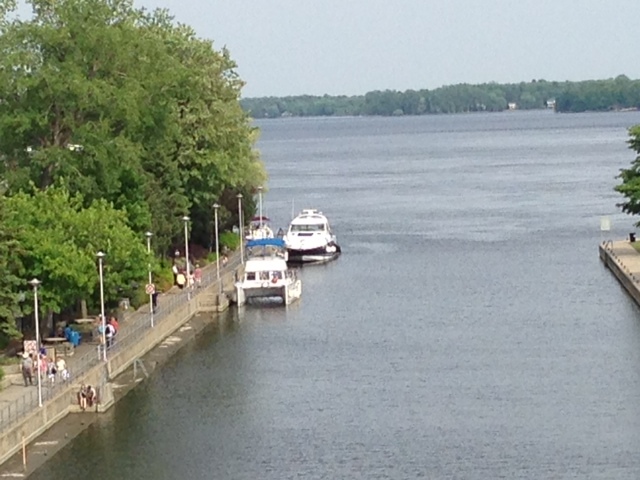 We’re about to cast off and enter the next leg of our journey – the Rideau Canal. 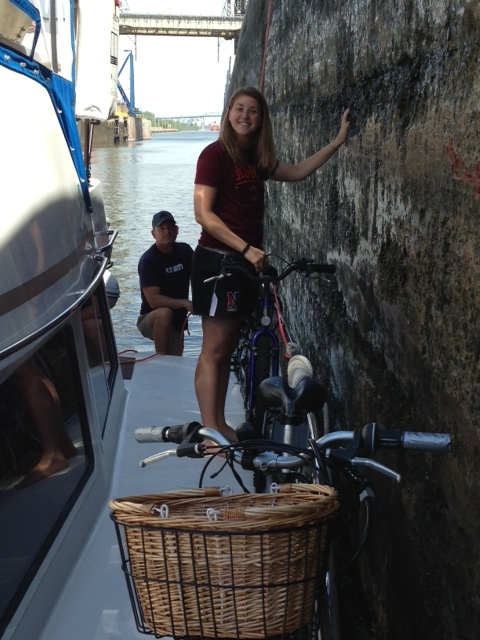 First, however, we’ll tie up and stay in downtown Ottawa for a week or so to explore the city and change crews. Really Jim it so amazing reading about your trip, I am jealous, love going through the locks (we did a Viking River Boat trip in France) the engineering, the people, the sites, it is all good. 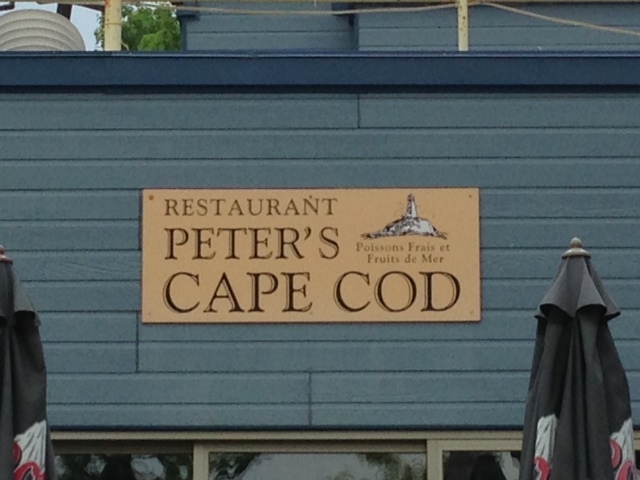 More pictures of the little towns please. It looks like your weather has improved!! It is great reading the Blog. Thankfully our flight back west has wifi! I can’t stop reading and catching up on the Joint Adventure adventures. 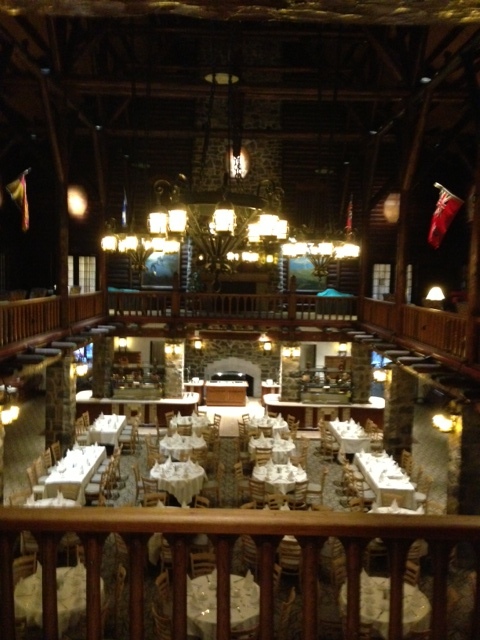 Le Chateau Montebello is a great place. 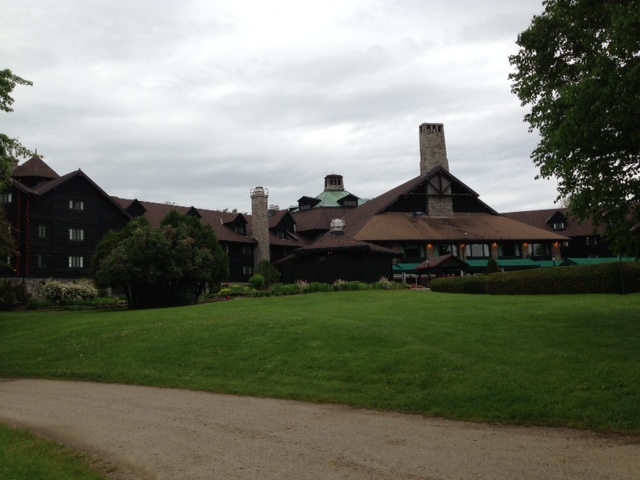 I have stayed there several times during a local golf tournament. 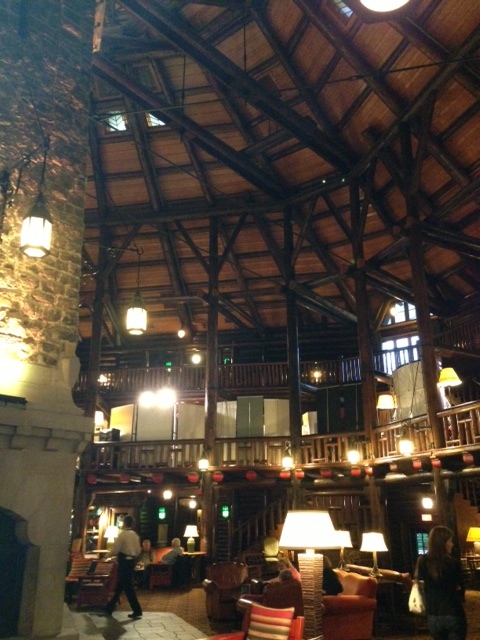 Awesome place with interesting history.